Gautier Capuçon is widely recognised as one of the foremost cellists of his generation and has received consistently high critical praise for his recordings and performances. 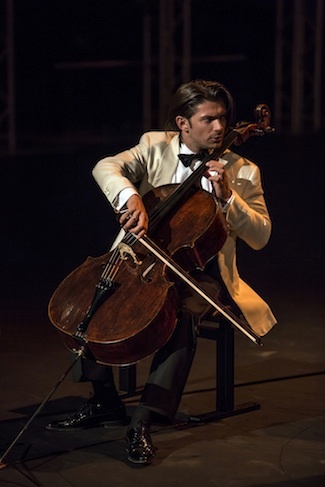 Born in Chambéry in 1981, Capuçon began playing the cello at the age of five. He studied at the Conservatoire National Supérieur in Paris with Philippe Muller and Annie Cochet-Zakine, and later with Heinrich Schiff in Vienna. The winner of various first prizes in many leading international competitions, including the International André Navarra Prize, Capuçon was named ‘New Talent of the Year’ by Victoires de la Musique (the French equivalent of a Grammy) in 2001; in 2004 he received a Borletti-Buitoni Trust Award since which time he has received several Echo Klassik awards. Il violoncello di Capuçon tiene il pubblico col fiato sospeso. Un quartetto di giovani solisti al Morlacchi.